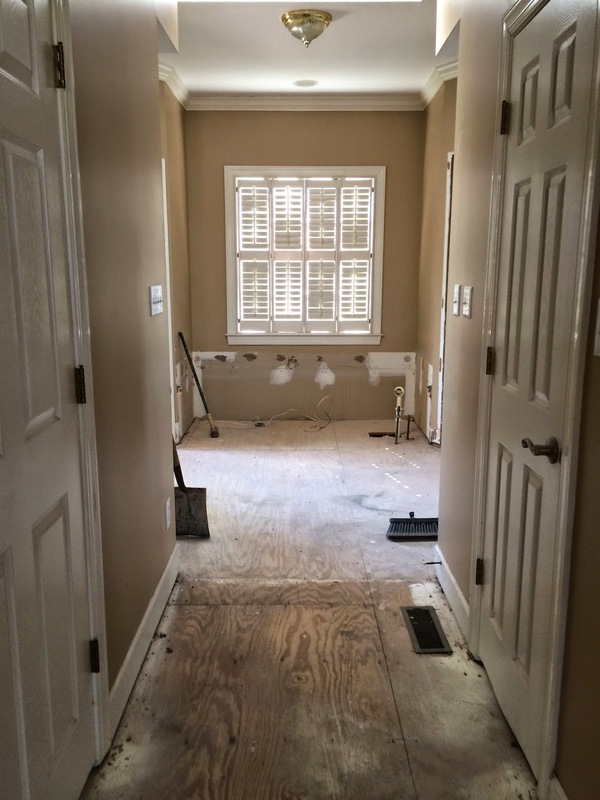 We've reached a really exciting point at the new-to-us house, the point at which the demolition stage is pretty much complete and we're moving toward putting things back together. Once things were cleared out, the most striking difference to me was the absence of stank. I'm telling you, you just can't imagine the level of stench that permeated that house, and it wasn't just from two years of stagnation. Have I already told you that the previous owners raised Alaskan huskies? Actually, not the IMMEDIATE previous owners, but the ones before that. Well, they did, and apparently they weren't completely "outdoor pets." 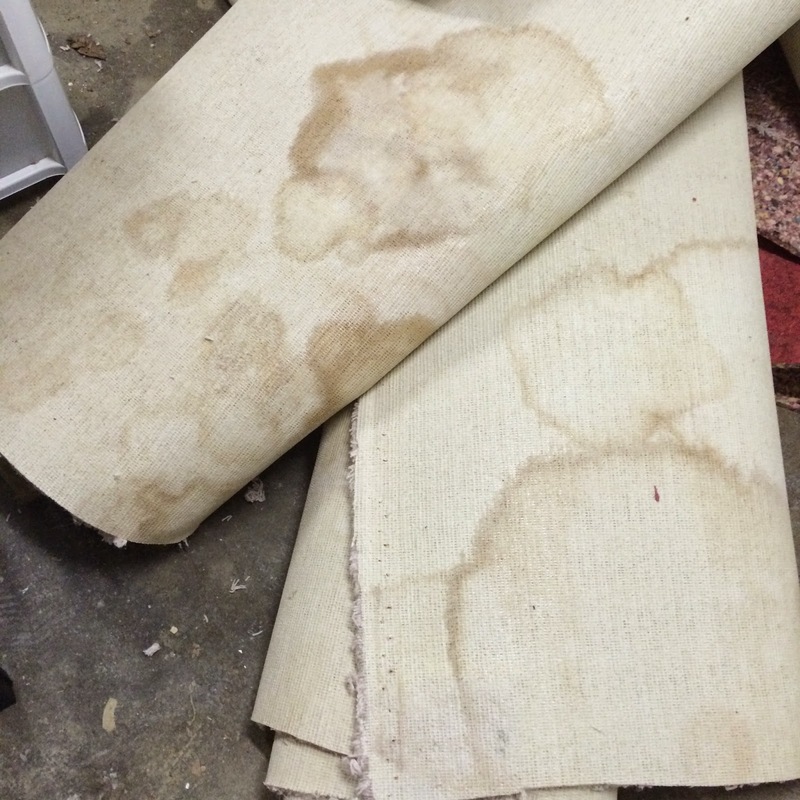 Once all the carpet was removed and carted out to the garage, we were able to see that nearly every square inch of it had been soiled by the dogs. THIS DID NOT SMELL LIKE A FRESH SPRING DAY. Please keep in mind that I can't exactly throw stones when it comes to pet stains on carpet. But I was only dealing with one cat. Not nine huskies. 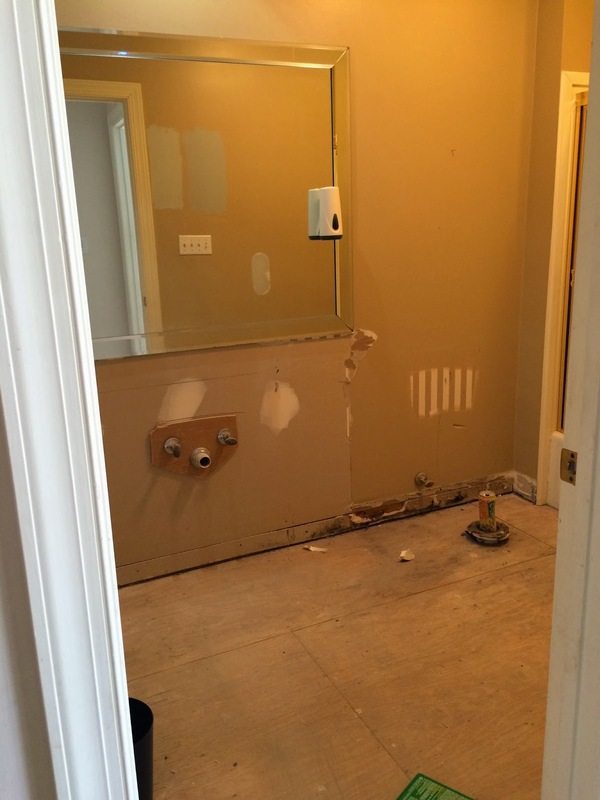 And since the entire contents of our kitchen are now sitting in the garage, the master bathroom is now sitting in our master bedroom. It's complicated. We're donating everything we're not repurposing, which is why it wasn't moved to the dumpster. It's just taking a little schedule-coordinating to have it all picked up. 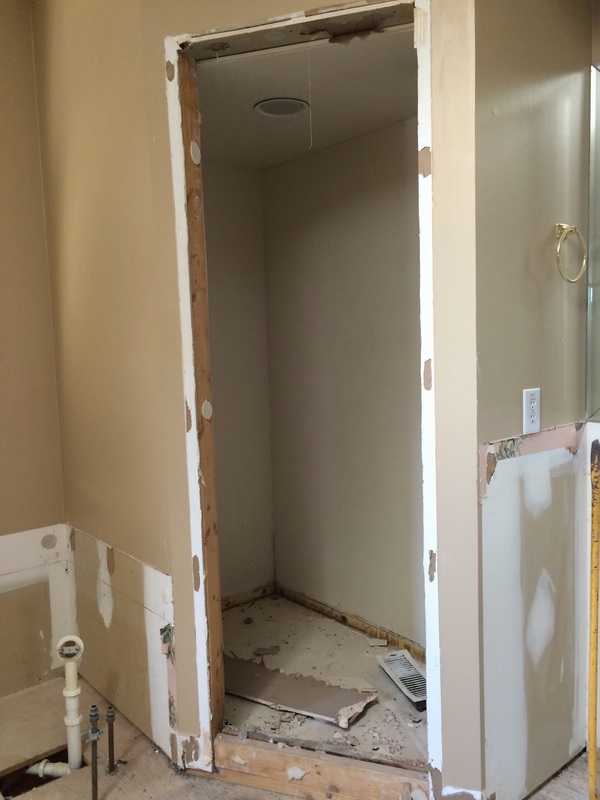 On the other side of the main level, the guest bathroom has also been demo'd. 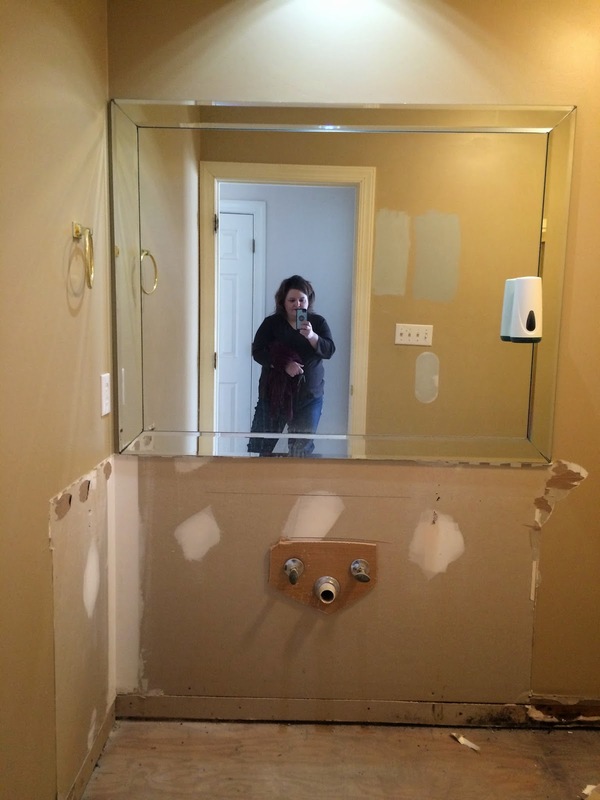 The mirror and, um, Dixie cup dispenser or soap dispenser or whatever will also be departing. RIP, guys. 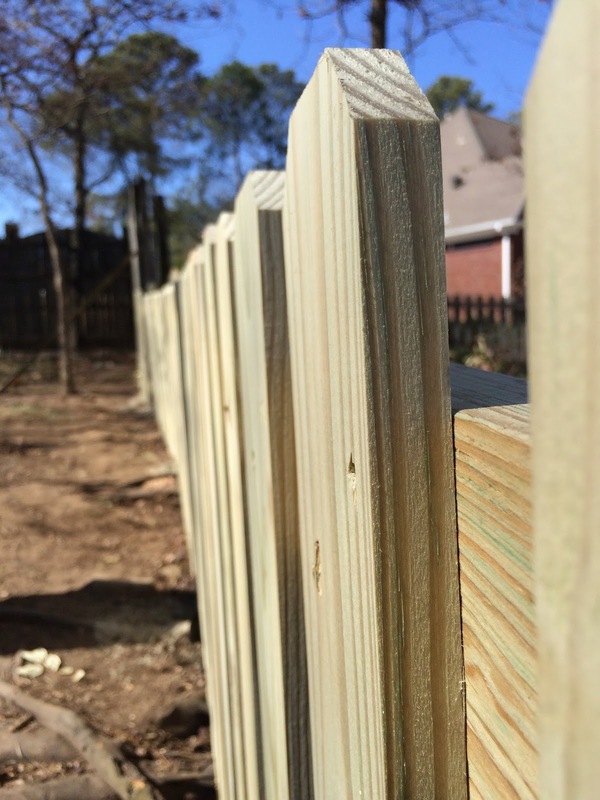 The backyard fence is coming along, albeit a little more slowly than I'd thought. Luckily, the dog who lives behind us has already dug three separate tunnels under the new fence and has met us in our backyard several times, WITHOUT even needing the handy-dandy gate that is being added right there in the center (currently covered up by a section of the old fence). I guess a lower fence just looked easier to dig under? Don't know. Fortunately for us, she's super-friendly and Amelia is already dying to dress her up in a tutu. 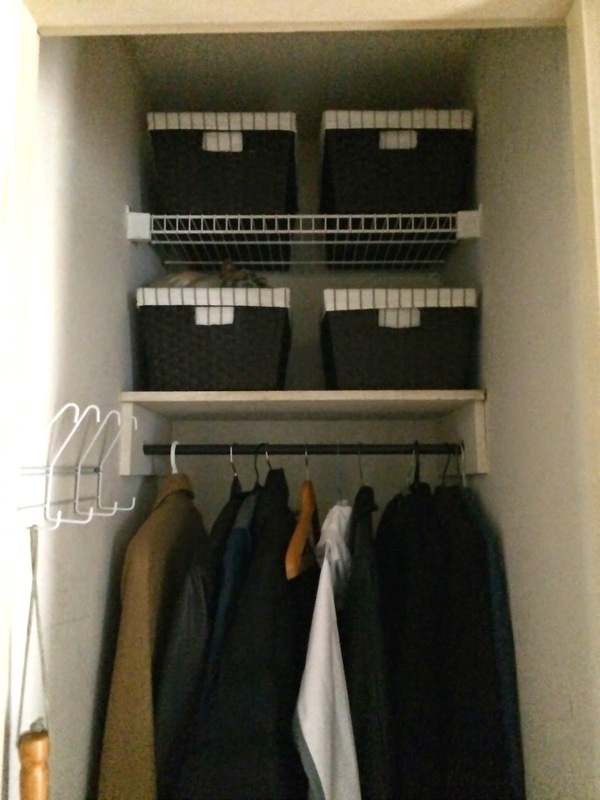 Over at our current house, I cleaned out our hall closet in preparation to begin thinking about showing it. I wish I had taken Before pictures of it, because it was a black hole. A HOLE. 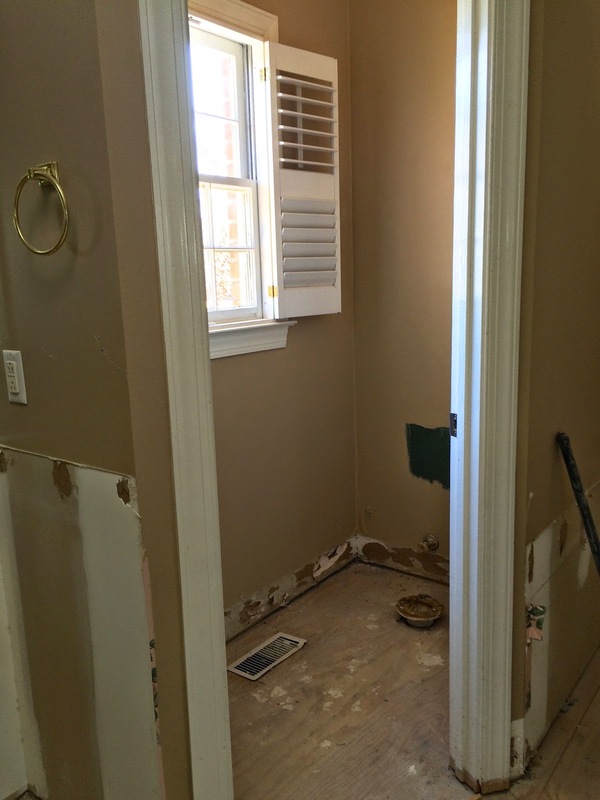 You couldn't see any of the hooks on the door or the wall, nor could you see the floor. There were just Wal-Mart bags of junk on both of the shelves. It was a hot mess. 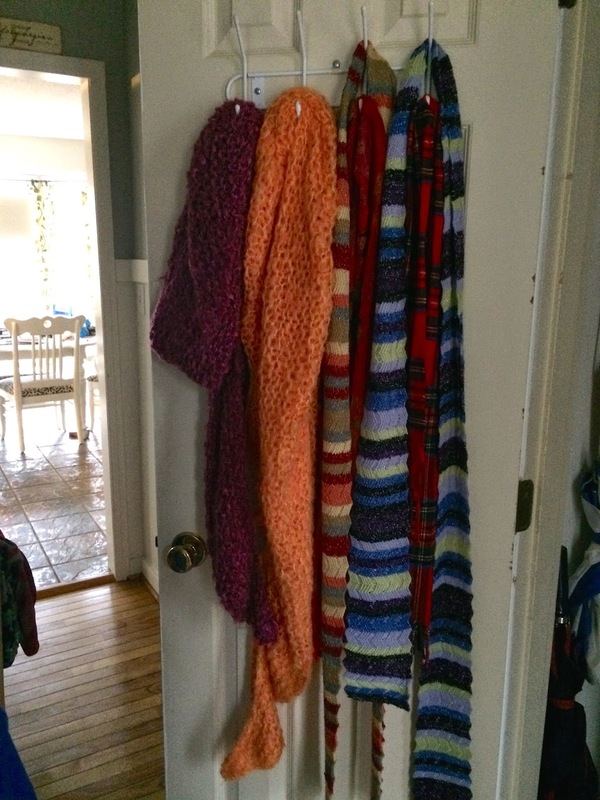 Now all of my scarves are hung on the door. 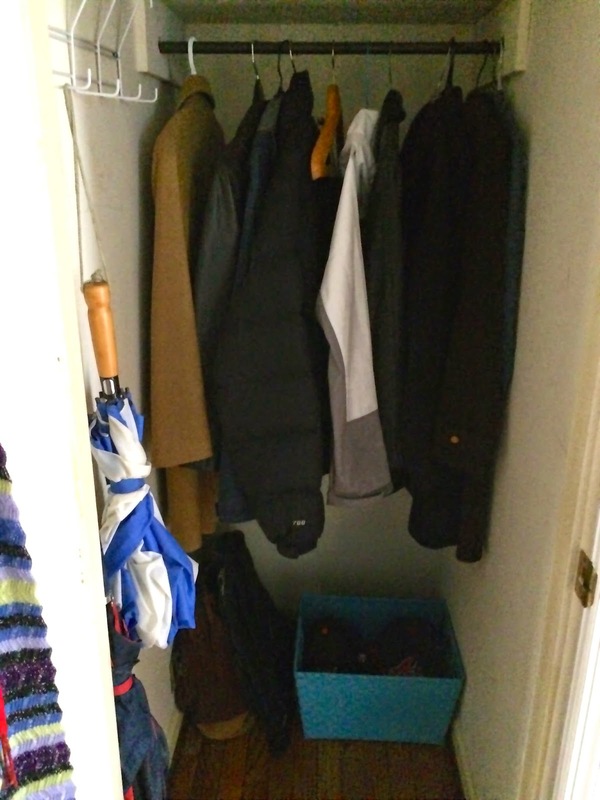 And I sorted all the caps (only 14 ballcaps, natch) and jackets that don't fit anyone anymore (just nine, don't judge) that were covering the floor and layered on the hooks. Once they were sorted, the caps all fit in the single basket we already had, and the old jackets went in the giveaway pile. Things are happening all the time, it seems ... we don't have a moving date yet, but I'll keep you posted. Hoping to know within a week or two when it will be!